The advantage of a programmable thermostat is that it can keep you comfortable and save on energy costs—significantly, if programmed with aggressive temperature setbacks when you’re asleep or away. At big-box home-improvement stores, you can choose among 20 or more thermostats that range in price from $20 to $100. Add in a handful of models available through HVAC contractors, with top-end thermostats running from $250 to $700, and the choices can be bewildering. If your day-to-day routine doesn’t vary and you have a relatively simple heating and cooling system, a basic $20 thermostat will do everything you need. As the cost goes up, you’re purchasing more flexible programming options, improved user interfaces, and proved the ability to control more sophisticated HVAC systems. 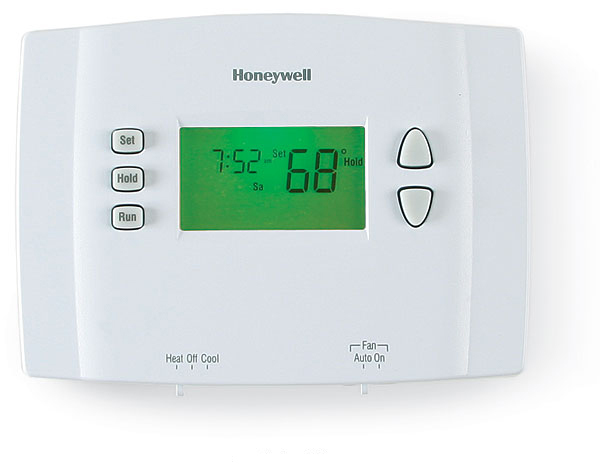 Basic programmable thermostats are sold through retail stores and divide the week into workdays and weekends. You can progra m one schedule for Monday through Friday, and then a separate schedule for the weekend. (The 5-1-1-day variety allows separate Saturday and Sunday schedules, while the 5-2-day type uses the same program for both days of the weekend.) They run most heating types but won’t control a multistage system, and in some cases, they aren’t compatible with heat pumps that have backup heating. Full-feature programmable thermostats have large, backlit touchscreens with crisp displays, sometimes in full color, and the flexibility to store different heating and cooling programs for every day of the week. Programming is fairly intuitive; some models use a question-and-answer setup wizard. Smart-response software allows the thermostat to learn how long it takes to bring the house to a programmed temperature and will call for heating or cooling early enough that the house is at the target temperature when the program period begins. 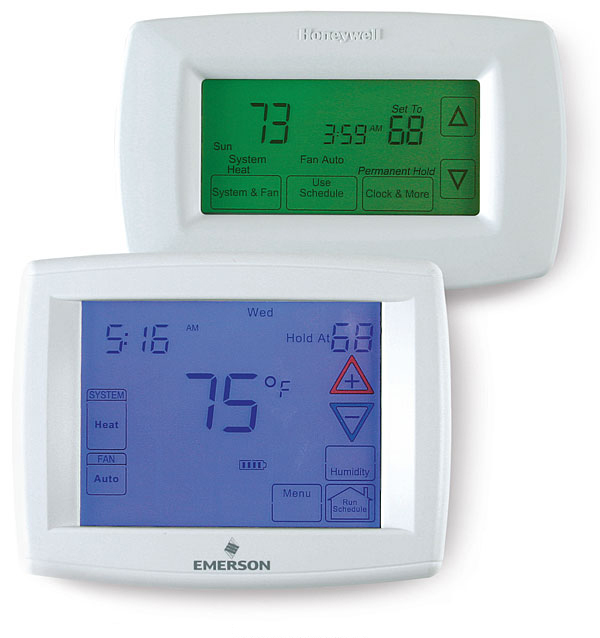 Full-feature thermostats come in two varieties: contractor-sold-and-installed models and homeownerinstalled versions marketed through retail stores. HVAC systems with multistage heating and cooling, mechanical ventilation, humidifiers, and hard-wired controls require thermostats sold through contractors. Remote sensors are unique to the pro-installed category. An outdoor sensor communicates weather conditions to the thermostat, which can use that information to help control heat-pump systems. Wireless indoor remote sensors can control the HVAC system, too.